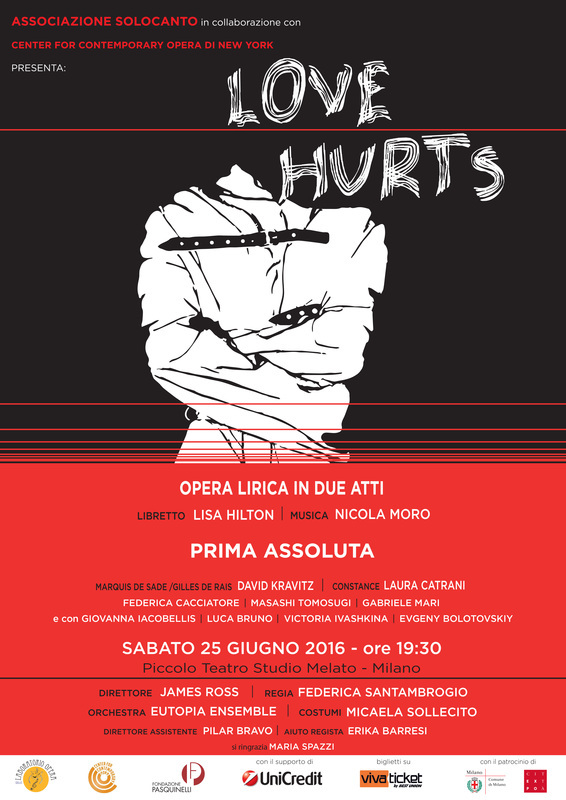 World premiere of Love Hurts - opera in two acts by Nicola Moro, with libretto by Lisa Hilton, directed by Federica Santambrogio, with cast including David Kravitz, baritone and Laura Catrani, soprano. English National Ballet raises over £800,000. Celebrity guests including Natasha Kaplinsky and Davina McCall supported the SAVE THE CHILDREN SECRET WINTER GALA at London Guildhall. 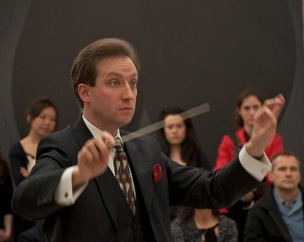 James Ross was invited to conduct dancers and musicians of English National Ballet in an arrangement of Tchaikovsky's Nutcracker. The event raised over £800,000. 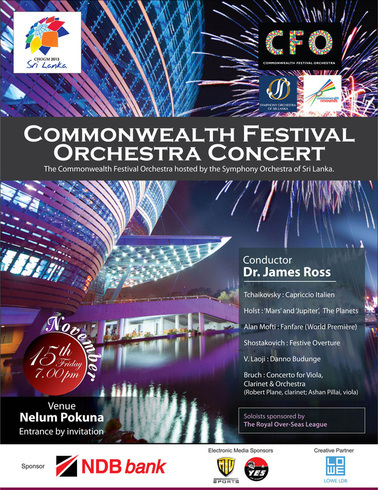 Commonwealth Festival Orchestra performs Sri Lanka's first concert at Colombo's Nelum Pokuna Theatre with The Commonwealth Resounds, The Symphony Orchestra of Sri Lanka, and The Royal Over-Seas League: Click for Reviews in The Nation and The Daily News. 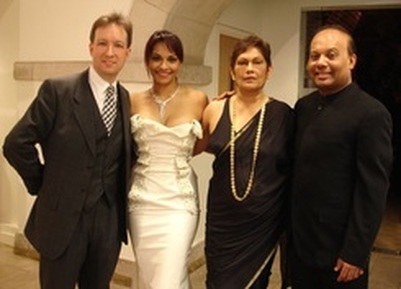 Soprano Danielle de Niese and pianist Rohan de Silva, performed at St John's Smith Square in aid of The Friends of Sunera Foundation and The UK-Sri Lanka Trauma Group. 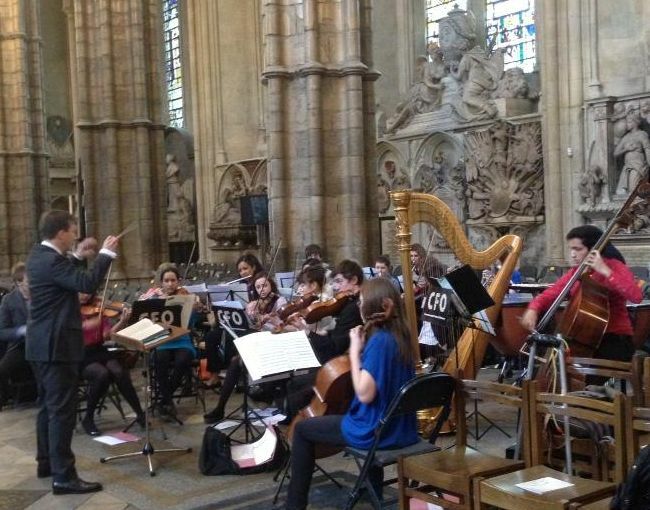 Westminster Abbey Commonwealth Observance, attended by HM Queen Elizabeth II. 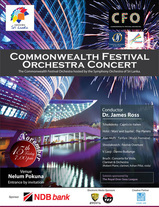 Music performed included from the 1953 coronation by Purcell, Vaughan Williams and Handel, and first performances by Joshua Hagley and Alan Mofti, with members of Chetham's School of Music, Royal Academy of Music, Guildhall School of Music and Drama, Royal College of Music and Commonwealth Festival Orchestra, organised by The Commonwealth Resounds. 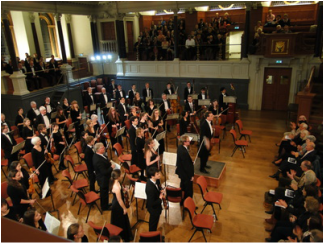 James Ross conducts Beethoven's Ninth Symphony for the 350th Anniversary Concert of Oxford's Sheldonian Theatre. 'Sounds Outstanding': Inspired by Saatchi Gallery's 'Gaiety is the Most Outstanding Feature of the Soviet Union', with Music Off Canvas, Queenswood School and The Purcell School of Music, and Shostakovich, Chamber Symphony with Philharmonia Orchestra members. 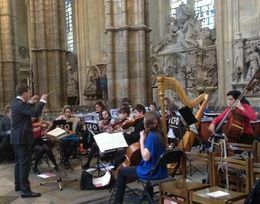 James Ross is pleased to become a Vice-President of the St Albans Symphony Orchestra on SASO's 80th Anniversary in 2012. Philip Sheppard's score for David Fairhead's The Long Journey Home - award nominee at Aesthetica Short Film Festival.